Crosbie Ward, who was one of the most brilliant figures in the early life of Canterbury and even in the colonial firmament of New Zealand, was the third son of the Hon. and Rev. Henry Ward, rector of Killinchy, County Down, Ireland, where he was born on February 10th, 1832. Young Ward was educated in the first instance at the College School, at Castletown, Isle of Man, and then at Trinity College, Dublin, and he represents therefore in Canterbury one of the very few who were not merely Irishmen by birth but had imbibed at the Universities of Ireland that scintillating brilliance which characterises their scholars. When Crosbie was only eighteen years of age three of his brothers were swept away in the stream of emigration to Now Zealand. 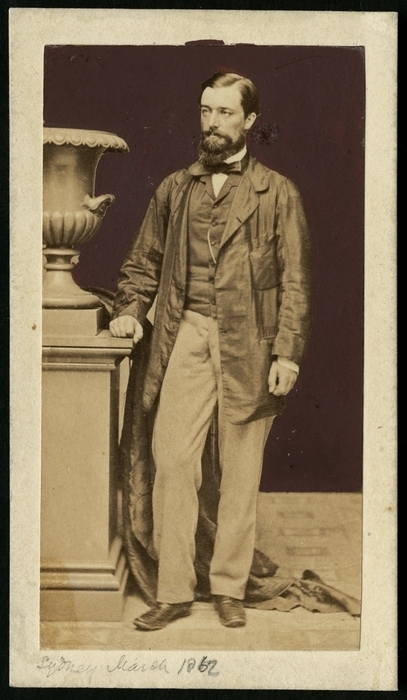 Edward Robert, Henry, and John Hamilton joined the Canterbury Association in London in 1850, and the first named was secretary of the Society of Canterbury Colonists They sailed with FitzGerald in the Charlotte Jane for New Zealand, and duly arrived in Lyttelton in December, 1865, full of enthusiasm. One of them at least, Edward Robert, was plainly designated for leadership, and Grey appointed him to the Commission of the Peace within two months of his landing in Canterbury. When their turn came round to select their land the Ward brothers decided to take Quail Island, in Lyttelton harbour; and they were soon settled down there in a house of their own making, and equipped with a yawl of their own construction, the Lass of Erin, with which to keep in communication with Lyttelton and the mainland at Governor's Bay. In June, 1851, a calamity visited the little settlement. While returning from Governor's Bay in their yawl with a load of wood, the two brothers. Edward Robert and Henry, were drowned. When the news was conveyed back to Ireland by Charles Bowen (father of Sir Charles), it was decided that Crosbie should come out to wind up the affairs of his brothers. He accordingly took passage in the Stag, and on May 17th, 1852, landed in Lyttelton. Crosbie spent the next three, years farming on Quail Island with his brother John Hamilton, and gradually became so interested in the affairs of the province that he could not refrain from taking part in them. The first provincial elections, in 1853, he allowed to pass, but when a vacancy occurred for Akaroa, in 1855, he was on the lists, and was duly elected (with Moorhouse as colleague). At the end of the same year he stood for Parliament in the Country Districts constituency, but was defeated. This rebuff he easily survived, for he was still a young man of only 23. In July, 1856, Ward joined the staff of the "Lyttelton Times," where he showed great energy in the management, and did much to tide it over its early financial difficulties. Ward had the misfortune to lose his seat in the Provincial Council at the General Elections of 1857. Owing to a misunderstanding, he withdrew from the Akaroa contest, and stood for Lyttelton. His decision, however, was too late, for most of the votes had already been cast, and he was fifth on the poll amongst sis candidates. But fortune was turning towards him. Provincial politics were every month becoming more heated. In 1858 the great controversy of the land regulations came to a head, and Ward wrote for his paper the versos now celebrated as "The Song of the Squatters," narrating the descent of the squatting interest upon the Provincial Council, and the steps taken by them to secure the amendments they required. Ward had remained out of the Council at the dissolution in 1857, but he now wished to get back. His time was soon to come. In May, 1858, he was elected, without opposition, to represent Lyttelton in Parliament, and a few months later, the same constituency returned him also to the Provincial Council, thereby endorsing Moorhouse's tunnel project, of which Ward was a string supporter. He was re-elected in 1860. His brilliant gifts and facile tongue, a rich Irish endowment, marked him out for rapid distinction: and no young man could more rapidly have moved to the van. At 26 he entered Parliament. 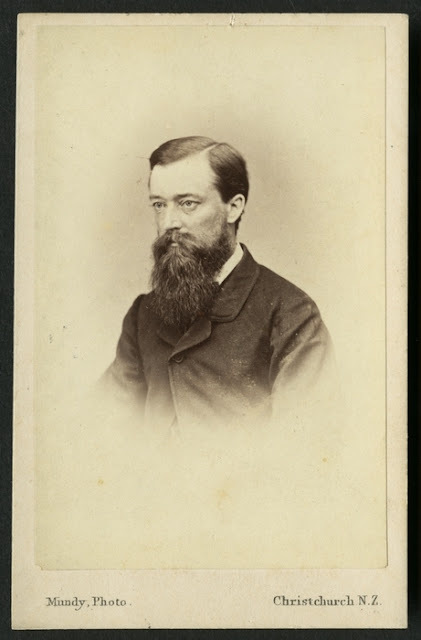 At 29 he joined the Fox Government as Postmaster-General, and Secretary for Lands (in August, 1861). Fox took him in really to represent the interests of the South Island then side. He was uniquely conciliatory, the north, from which they felt north alone stood to gain. Ward tried on his own responsibility to get the stamp duties restricted to the North Island, but only rallied 15 members to his support. If he had any political weakness it was his capacity for seeing the point of view of the other. Indeed Fox picked him out for this very reason to visit Hawke's Bay in January 1862 to compose a dispute between the settlers and the natives, and the tact by which he achieved success fully justified the experiment. It was on this trip that he developed the first symptoms of the disease from which he died a few years later. Ward was one of the foremost advocates of a fast and regular mail service between Australia, New Zealand and the Old Country, and his position as Postmaster-General enabled him to promote the scheme. When Domett succeeded Fox as Premier he kept Ward on as Postmaster-General, and early in 1863 sent him to England to endeavour to make the necessary arrangements. New South Wales having declined to participate in the service, Ward took a bold line and succeeded in making the contracts for very restive under the constant demands for maintaining the wars on a service by way of Panama. While in England also he entered into important negotiations with the British Government on the evergreen controversy regarding the cost of the Imperial troops in the colony. His letter to Lord Lyttelton on the subject attracted much attention. Returning to New Zealand early in 1864, with his mission successfully concluded, Ward found his Government out of office and a Fox-Whitaker combination in its place. For some time there was a danger that the contracts would not be approved, but eventually Parliament endorsed them. Ward wished as soon as the trans-Continental railway in the United States was completed to make San Francisco the port of call, but he did not live to see that adopted. When Weld, in 1864, offered him a seat in his Ministry, Ward felt that his views had diverged too far from those of Weld as regards the relations of the two Islands, and he remained a private member. At the elections of 1866 he was elected for Avon. He was also at that time much involved in the superintendency contest in Canterbury between Moorhouse and Lance. The fight almost resolved itself into a duel between Ward and FitzGerald, fought in the columns of the two Christchurch papers. FitzGerald was a brilliant writer and a dogmatic political mentor. Ward, on the other hand, delighted to dazzle and annoy his opponents by his occasional contributions, political squibs and crackers. His comments on that contest remain a feature of the distinguished Canterbury journalism of that time. He is also said to have had a good deal to do with the witty sketches which graced the pages of "Canterbury Punch." Early in 1867, Ward accepted the post of agent in London for the province of Canterbury, for which he had already done good service as immigration agent. Before leaving he accompanied Hall to attend the postal conference in Melbourne, where his unrivalled knowledge of the subject and his views on ocean mail services were of great value to his chief. Returning to New Zealand he had a great send-off in Christchurch in April, and sailed for England via Panama, his favourite route. Once in London he was immediately immersed in work. Contrary to the highest expectations he succeeded in selling £160,000 of debentures on behalf of the province. He set no limits to his efforts, and Mr Selfe wrote in October that he feared Ward would never leave his room alive. The warning was fulfilled. The day before his death he saw Mr Larkworthy, manager of the Bank of New Zealand. He died on December 25th, 1867, at the early ago of 35. Mrs Ward, who was a daughter of James Townsend, of Rangiora, afterwards married George J. Cooke, of London. Third son of the Hon. and Rev. Henry Ward, rector of Kilhirchy, county Down, Ireland, by his marriage with Anne, daughter of Rev. Henry Mahon, and grandson of Hon. Edward Ward and Lady Arabella (Crosbie) his wife, daughter of the first Earl of Glandore. His father's eldest brother became the third Viscount Bangor, and Mr. Crosbie Ward was first cousin to the late Sir E. W. Ward, K.C.M.G.